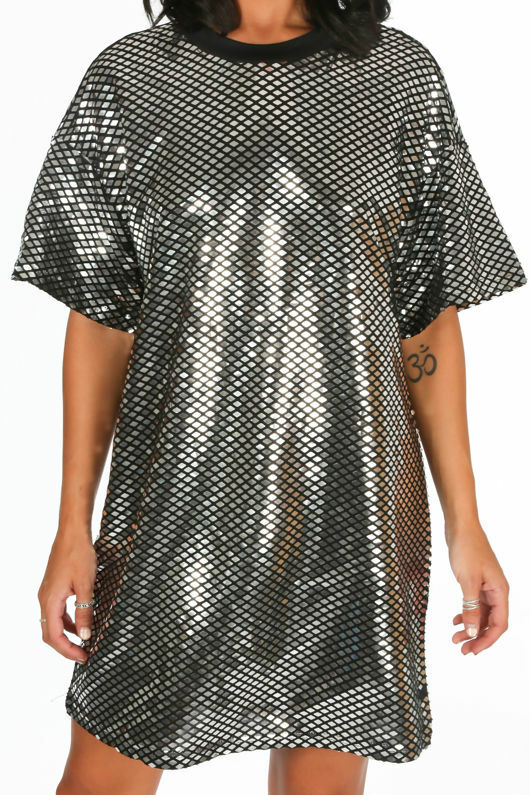 We're crushing on sequins for this season like the Mirror Sequin T-Shirt Dress. This statement piece is a must have for the party girls who love to stand out. 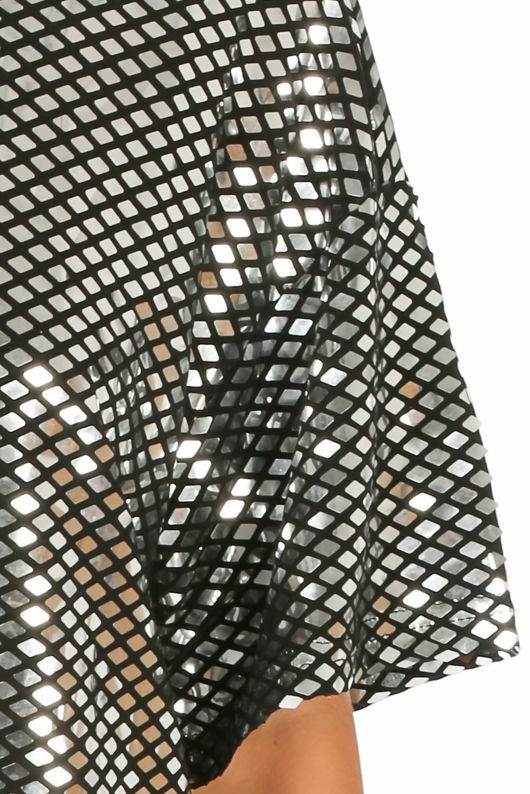 It's been designed in an all over mirrored sequin detail. 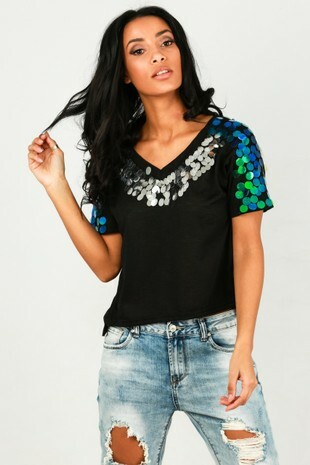 The oversized, loose fit will keep you comfy and it also features a round neckline and short sleeves. Let your dress pop and keep the rest of your accessories minimal by styling this with a pair of simple black strappy heels.